OLD PARKED CARS. 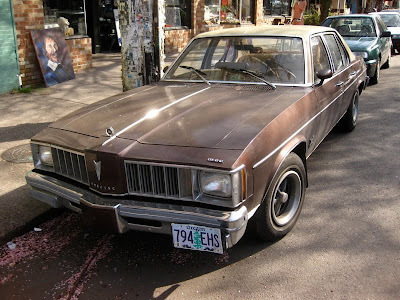 : 1979 Pontiac Phoenix Sedan. 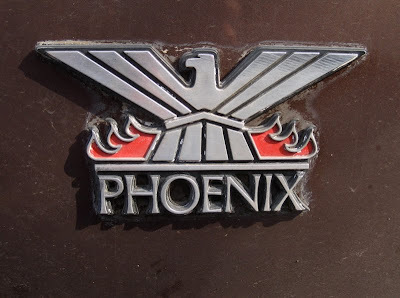 That Phoenix emblem looks sweet. I have never heard of this car until right now. 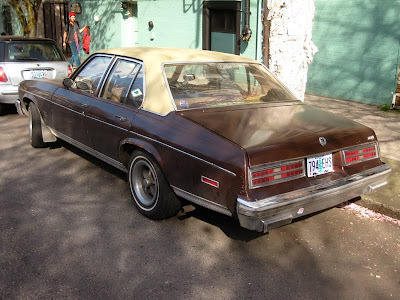 i was just going back through iphoto sorting old images and found this car. i hadn't thought about it once since posting it way back in the first months of the blog's existence. at the time, the car was a regular sight in the neighborhood. i think i can recall the young woman driver arriving most mornings for a job or something. 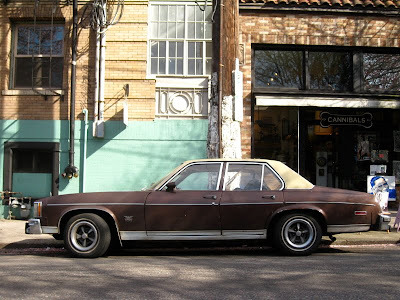 i didn't like the car then, and i think i only documented it out of a sense of obligation. i had no idea what a rare find it was. if i crossed paths with another one today, i think my eyes might explode out of my head. wish i'd had a better camera.